Learning a language is a long, and difficult process – I should know, I’ve been teaching English to foreign students for 3 years, and every day I’m reminded of the obstacles that come into the way of reaching that elusive goal that is “fluency”. After all, no one ever ends up completely “mastering” a language, whether it be your native tongue or one you’ve had to learn later in life. Learning a language is a continuous effort, it’s a lifelong journey. Over the years, I’ve spoken with hundreds of different students, and what I’ve found is that a great many of them tend to fall into the same few traps that seriously hinder their progress. I’m going to share some of these pitfalls so that you can avoid making the same mistakes; trust me, it’s not rocket science. And while I’m speaking from my experience as an ESL teacher, the advice contained in this article can very well apply to learners of any language, whether it be English, Arabic, Japanese, Swahili, you name it. I’ve seen many students who are so afraid to make mistakes, they don’t even bother trying. Perfection may seem like a good thing, but it can actually hinder your progress when you’re trying to learn a language. If you’re not making any mistakes, then you’re not learning anything. 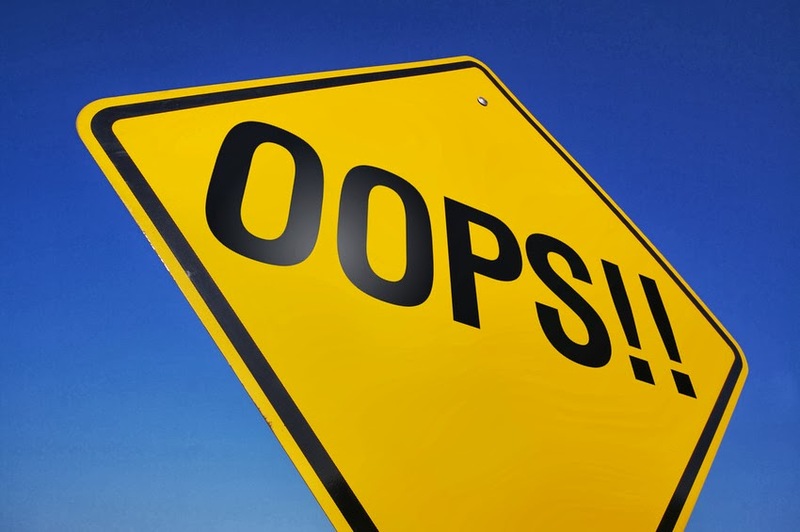 Making mistakes will actually improve your foreign language abilities! You’re aware of the mistakes you’ve made, you learn from them and you improve your skills. Although it may be hard to admit at times, we are all human, and we are all imperfect. Michael Youlden speaks nine different languages – Spanish, Hebrew, German, English, Italian, French, Catalan, Portuguese, and Irish. Now, that may seem a little discouraging. This guy can learn nine languages and I’m having trouble learning a second language? But, don’t despair. Youlden gives some great advice about making mistakes. In a recent interview, Youlden says that we need to make mistakes in order to learn, and that we should release the inner child in us, and not be so afraid to make those mistakes. When it comes to learning English, you don’t know everything. And that’s okay! Because not knowing everything, and making many mistakes while learning something new is a vital part of growth. I have had many students who thought their English wasn’t at the level they felt it should have been. They felt their friends, siblings or workmates were more advanced at an earlier stage. But you need to remember that everybody is different, therefore, the way people learn languages is also different. Learning languages may come more easily to some than others, but this doesn’t mean they’re ‘better’ than you – just different! No matter what level you’re at with the English language, you have worked extremely hard to get there. Don’t worry about the level that other people are at, just be concerned with yourself. Everybody learns differently, so learn at your own pace in a learning style that benefits you the most. 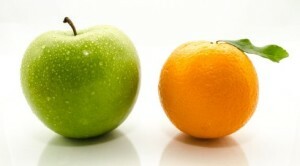 Mark Twain, a famous American author, said, “comparison is the death of joy.” And it’s not just Mark Twain who noticed this. A study from Michigan State University showed that comparing yourself to others causes feelings of low self-confidence, jealousy, and even depression. Learning a language is hard enough, so don’t bring those unnecessary feelings upon yourself. 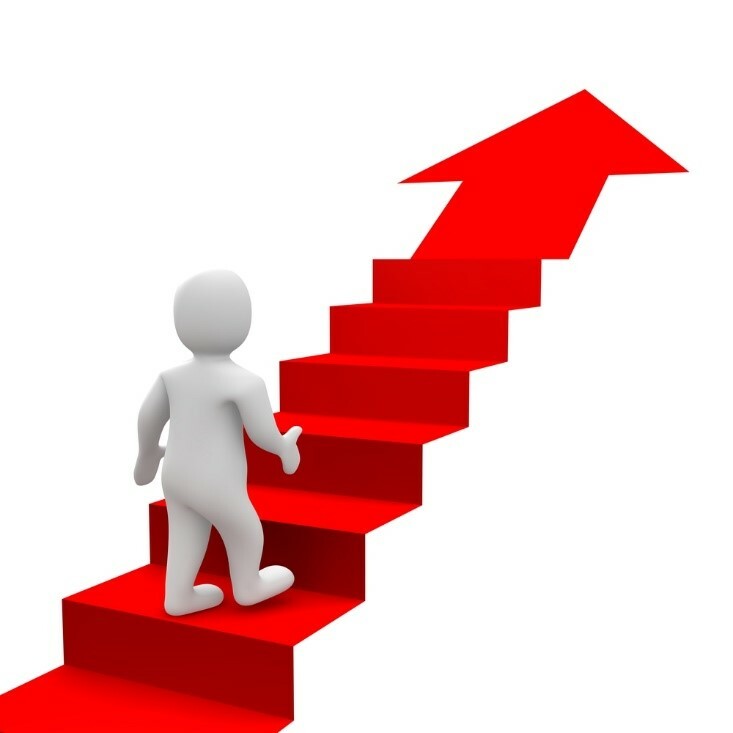 With everything in life, if you want to progress, you need to set reachable goals. Sometimes when you see little progress being made, or you feel like you’re just not getting it, goals can keep that motivation you lost. Remember not to set unreachable goals, but keep them realistic. Chances are you’re not going to be able to pass the IELTS test next week if you’ve just mastered the alphabet this week. Maybe passing the IELTS (or HSK, JLPT, etc.) test is your ultimate or main goal – and that’s a great goal to keep! But set smaller, more attainable goals along the way. For example, some of my previous students set the goal of learning one new word a day, while others set as their goal to read an English newspaper every week to increase their vocabulary. Set goals that fit in with your schedule, and that you think can be reached. And remember to think of how good you will feel once you’ve reached that goal! The fact is, people who succeed tend to be the ones who set reachable, attainable, and specific goals. Michael Phelps is an Olympic swimmer who’s won 22 medals. Phelps has written down all his goals, and keeps them on his bedside table, and near his alarm clock. He sees them every day, and is reminded of his goals every time he turns off his alarm clock. So, what does Phelps have to say about goal setting and how they’ve benefited him? He once told the media, “…nothing is impossible and goals are what it takes, this is what I have learnt.” And what about those goals he sees every day? 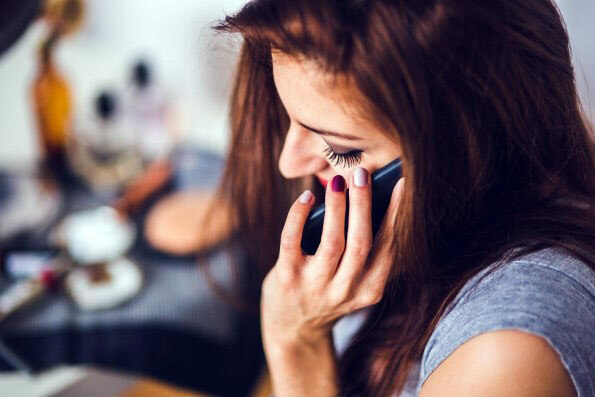 He went on to say, “it helps me overcome those stresses and obstacles.” Another study showed that if you write down your goals, and tell your friends or family about your goals, you’re 75% more likely to reach them! So if setting and writing down goals helps Michael Phelps to win 22 medals, then setting goals can certainly help you learn English! We’ve all been there. You hit that wall. You don’t think you can continue learning a language – it’s so hard, and you’re just not getting anything right. You may even think back to that one native speaker you tried to have a conversation with, and he or she had no idea what you were saying. It’s discouraging, but it happens. It’s difficult to learn a language, and it’s not something that’s done overnight, it takes a long time. Remember, though, that you’re learning a foreign language and that’s pretty impressive! Not everybody can do that. So you deserve to be proud of yourself for that reason alone. But you also deserve to be proud of yourself for all your hard work, determination, and perseverance. Fredrickson is a positive psychology researcher at the North Carolina University. She did a few different studies that showed that when you keep a positive outlook, you see more possibilities in your life, and you keep your mind open to more options. And in the long-run, you actually develop an enhanced ability to build skills, like your foreign language skills! So, don’t be too hard on yourself because you are doing an amazing job. Think about all the progress you’ve already made, and think about all the progress you will continue to make. Think about the time when you will watch an movie in your target language and have no troubles understanding it or when you can order your favorite meal in a local restaurant confidently. You will get there! Stay positive! A bad attitude is like a flat tire. You won’t go anywhere until you change it. In order to really learn how to speak English or any other language, you have to actually open your mouth and try to speak it. And the more you speak, the better at speaking you will get. I understand that it takes a lot of courage to go out there and try to speak a language you’re not totally comfortable with. But it’s the only way to improve and make progress. Don’t worry about not finding the right word to say, or if your pronunciation and grammar is a little off. The important thing is that you’re trying. And the best thing is, the internet allows you to find tutors and language exchange partners at the click of a mouse, so there’s no excuse not to get some speaking practice! The people you are speaking your target language with aren’t going to judge you. They will be understanding about it, and maybe they were once at your level too. When Hollywood actress Mila Kunis first moved to America, she reportedly cried every single day because she just couldn’t master the language. She said she didn’t understand the people or the culture. She referred to moving to America like “being blind and deaf at age seven”. But now, Kunis is completely fluent in Russian and English. No doubt, she had to learn English the hard way. But eventually, she just opened her mouth and tried. Kunis would understand the hardships and struggles you go through learning English right now. And like her, if you continue to speak in your target language as often as you can, you’ll eventually become fluent. From my experience, the students who make mistakes, set realistic goals, stay positive and focused, and actually try to speak their target language as often as they can are the ones who do infinitely better down the road. Not only that, they have more fun doing it. And from your experience, what do you think is the most important thing to remember when learning a language? 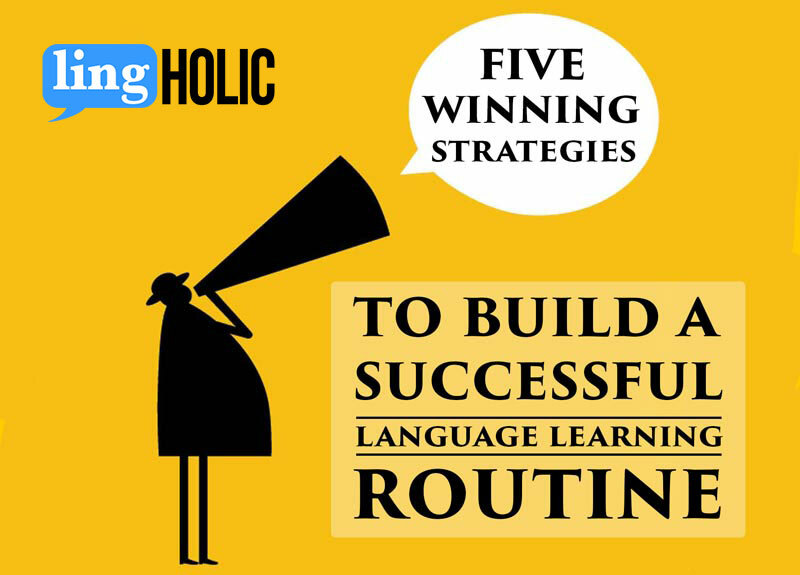 Do you have specific winning strategies that you think other language learners may benefit from? Then share those with the rest of us in the comments section below. My name is Katie, and although I have been teaching English as a second language for many years, I have recently endeavored to start my own online tutoring company. For more information about English Expressions or myself. The most important thing? That’s a tough one…so many things to keep in mind when learning! I wouldn’t know where to start, but you’ve done a good job outlining some of the best things to point out (comparing ourselves is definitely a killer). I will say that, unfortunately, judgment from certain kinds of people do happen, although perhaps rarely. It’s also unfortunate because, especially when we first start out, any bad experiences tend to stick out in our minds, even despite hundreds of good experiences. Include the target language into your life, asap. Good morning, (in target language, of course 🙂 ) As soon as you have the numbers under your belt: what time is it in your target language? Date, day of the week? You go to lunch , make a break , get dressed , etc. Break down difficult things into smaller steps, and exercise those. Use crutches, and USE them. Declination of numbers difficult? Make a table, decline the current date. Even when done only once a week, it will build up. Speak out loud, as often as you can. I like to listen to audio-books in smaller bits, then read the paragraph out loud. Record your reading, to compare speech patterns. Even when we do not understand the text entirely yet, using the language builds up. In our brains, the nerve cells have to build connections, which are small paths at first. They grow into outright highways with usage, so, speak speak speak, even when alone. Even when just reading a small text in the target language. It all builds up towards the highway.